The OSS/BSS trade show that’s so exciting it needs an exclamation mark! TM Forum Live(!) 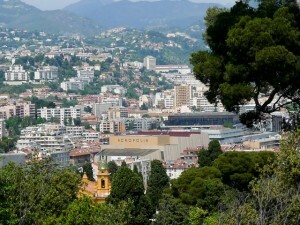 previously known as TeleManagement World, kicks-off on Monday 2nd June in Nice, France. It promises to be the usual mix of professional networking, insightful keynotes, and excitement over the latest buzz words. It’s the show you just have to go to if you’re part of the OSS industry, but it’s difficult to predict which sessions and speakers will be worth your attention. Some keynotes offer a candid insight in to the industry, and a fresh perspective. Others are clearly just the company’s slide-deck-of-the-quarter, used at any and every trade show their execs speak at. As an OSS product and technology geek, I am a big fan of the Forumville catalyst projects. The presentations are gritty, honest and usually not well rehearsed, but you almost always get a better insight in to the vendors’ products and the sponsoring CSP’s requirements, than you will find on the marketing stands in the expo . OSS Line will be meeting with a select few of the most interesting OSS vendors, to learn what’s new. Also, keep any eye on the OSS Line blog and Twitter feed to learn about all the OSS related news and announcements coming out of Nice. Follow @ossline and the show’s hashtag #TMFLIVE on Twitter for the most up-to-date news.